Roger Bisby lets a lot more light into the black hole that was the back of his van. There are few things more frustrating than rummaging around in the back of your van trying to find something and not having enough light to see. As the nights draw in I find myself in this situation once again, I know it is in there somewhere but where? The back of my van is a black hole that consumes matter. There is no other way to explain why I can never find items that I know are in there. To read more from Roger Bisby, click here, here and here. I am not the only one who struggles and it makes me wonder why van manufacturers still seem to attach so little importance to providing load areas in vans with decent lighting. It really isn’t that hard now that we have LED lights so why do they persist with old technology? LED is a game changer, no question, because they are brighter, whiter and use less power. The only thing that stops most of us taking out the original original equipment and upgrading it with a superior after market product is the hassle. We are simply too busy earning a living to start messing around with interior lighting rigs. Now ProVan has taken the hassle out of changing your load area lighting by coming up with a direct replacement that simply plugs in to your wiring loom. There is no need to crimp or cut cables, just flick out the old fitting and pop in the new. It is plug and play. It took me less than two minutes to pop this Lab Gear Light into the socket and when I switched it on it was as if there just hadn’t been any lighting in there prior to this. The Cree LEDS are seven times brighter than the original lights and the light is more like daylight so you don’t that colour washout. The body is polycarbonate and you will notice on the back of the lighting unit that there is an aluminium heatsink similar to the kind you find on desktop computers. 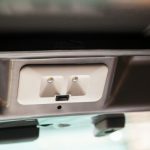 If there is a switch on your light then there is a switch on the replacement and all the major van makes and models are catered for. If you type your registration number into their website it automatically selects the right model. How do I fit it? And how long does it take? ProVan will take less than 30 secondss to fit. It’s designed to be installed and get you working asap. Just pop out the existing factory fit light. Unplug it from the van’s connectors. Push the light’s plug into the van connector and then push the light into the existing aperture. ProVan uses the connectors and holes already built into the Van by the manufacturer. It just uses them better. 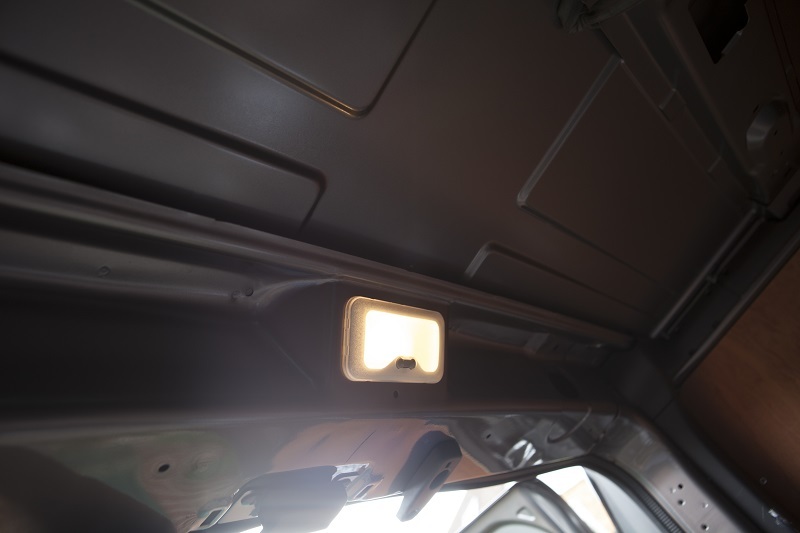 ProVan gives up to seven times more light and uses half the power of your factory fit lights. This means you also have less drain on your battery and your lights will work for longer in your van.